Royal jelly and three different varieties of oils. Thanks to its effect, a beautiful, healthy skin becomes even more beautiful. The beekeeping Milan Pleva has been producing cosmetics from bee products for more than 20 years. They have always thought about how to improve certain properties and the beneficial effects. The whole experience is incorporated into this cream, which was blended from four ingredients. Pleva has combined Jelly Royale with three varieties of oils to support the regeneration and nourishment of the skin most. Thanks to a carefully calculated ratio of oils, the skin gets exactly what it needs to become even more beautiful. In addition, the cream is easily absorbed and is well suited for very sensitive skin. 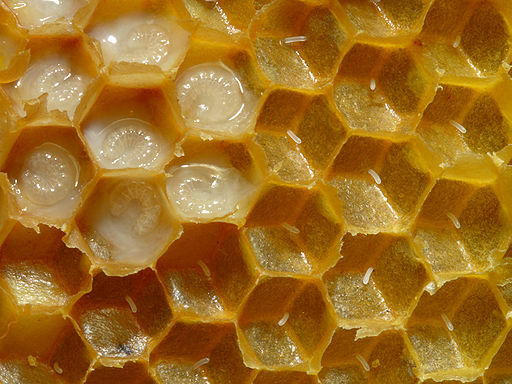 Jelly Royale is used exclusively for the nutrition of small larvae and the bee queen. They need a proper source of energy. Jelly Royale has very similar effects on the skin. It contains vitamins A, C, D, E and B (thiamine, riboflavin, pyridoxine and others), minerals (potassium, sodium, calcium, zinc and iron), as well as nucleic acids, lipids, carbohydrates and proteins. A true cocktail full of energy. It is an important source of antioxidants and acids with regenerative and solidifying effects. This oil is also moisturizing. This oil gives the skin the important omega-6 polyunsaturated fatty acids our body can not produce by itself. Finally comes the fourth component. In the cream one finds them in two forms, called Olivem 1000 and Oliwax; Both are 100% natural, clinically tested olive oil products. • Oliwax is a natural wax. Thanks to it, the cream is applied perfectly, absorbs quickly, makes the skin supple and makes it soft, without unpleasant fat. Olive oil contains a lot of vitamin E.
Directions for Use: Thoroughly remove the remains of make-up and impurities, massage the cream into a thin layer in the skin and allow to dry. Suitable for daily use. Designed for the care of the face, hands and body. On some boxes of our products there is a green lime leaf with the label "natural product". This green sticker makes us very proud. Gentle and natural. Gentle for nature.